The Rockdoor Portland is another beautiful door from the Rockdoor Ultimate range; the most superior composite front doors on the market. The Portland is very popular with those who need a lot of light inside their properties. The large glazed window is available in a variety of patterns and designs. 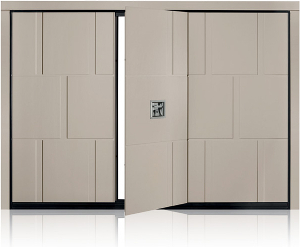 As with the other doors in the Ultimate range this door also gives the highest ratings for security and insulation. 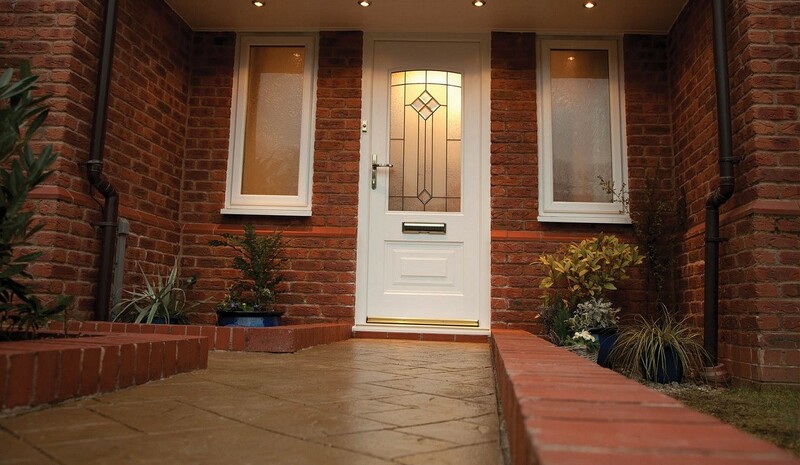 One of the main design features of the Rockdoor Portland is the security, it achieves a class 1 rating. This is achieved by the unique features such as the engineered door skeleton which is welded together and impervious to moisture. The multi hook latching engages in a full height steel keep in the Rebar reinforced outer frame. It has the strongest door frame on the market and is reinforced with carbon fibre. Another industry first. The lock barrel is anti-bump, anti-pick and has a protective cylinder concealed. Reinforced steel anti-drill plates also protect the locking mechanism. there is an option of a steel mesh to be fitted inside the door leaf which further increases the strength of the door by up to four times. 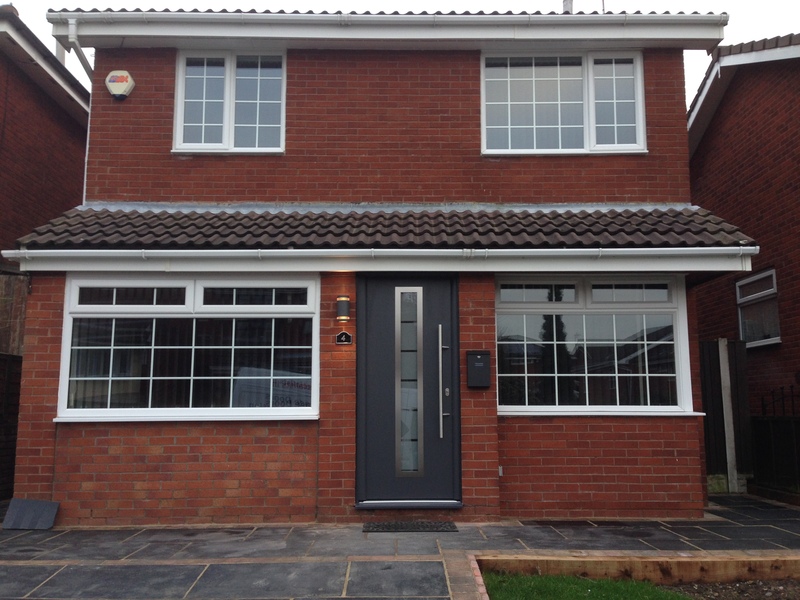 If specified the door can be accredited ‘Secured by Design’. The police preferred specification. Yes, if security is an issue for you, the Rockdoor Portland front door needs to be considered together with the other doors in the Ultimate range. 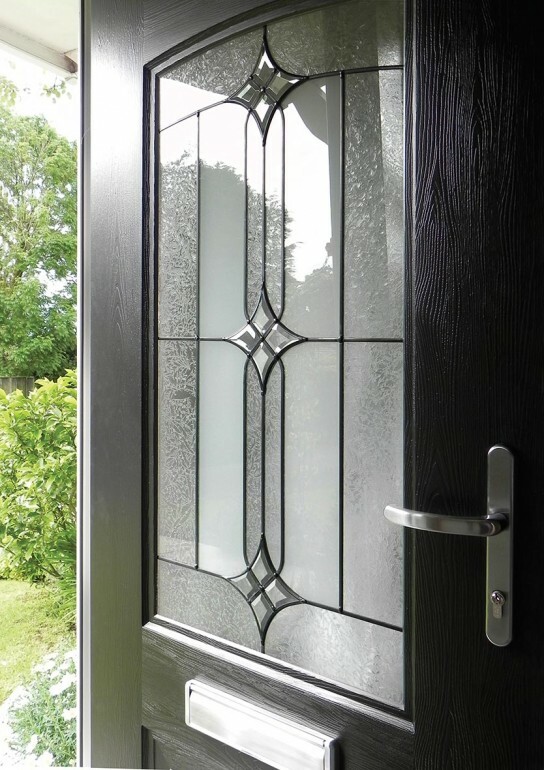 The 50mm door leaf of the Rockdoor Portland has a core of PU foam insulation. It has a warm edge spacebar and soft coat glass in the glazed unit. The outer frame is also insulated. The brush and rubber seals between the door and leaf ensure that there are no draughts. Consequently, this door achieves an ‘A’ energy rating. All twelve colours and finishes are available for the Rockdoor Portland. Eight solid colours and four woodgrain finishes. Also available are a variety of glazing designs. Lakes Garage Doors have Rockdoor Ultimate doors on display at our showroom in Lanashire. Come and see us. We would be delighted to show you these wonderful doors.